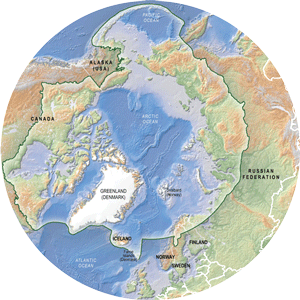 All materials posted on the Conservation of Arctic Flora and Fauna (CAFF) website for which CAFF holds the copyright are freely-available for non-commercial uses, including press/media use, and use in the production of educational and outreach materials, etc. You are kindly requested to acknowledge CAFF as the source of these materials. Electronic documents posted on the CAFF website can be viewed and downloaded for individual and non-commercial (including educational) uses without any requirement to obtain permission from CAFF. Other websites are welcome to link to CAFF website pages and documents posted on the CAFF website; however, you are kindly requested not to download and repost copies of CAFF website content on other sites. This is important (i) for ensuring that information available on the Internet retains its integrity if the content of the CAFF website or posted documents is changed to reflect new information or to correct errors, and (ii) allows CAFF to track use of its website content so that the site and its content can be further improved to better satisfy user demand. CAFF retains copyright on all printed and electronic documents, reports, videos, websites, DVDs and other products produced by CAFF. CAFF documents, reports and materials posted on this website may, however, include content (for example photographs, graphics, news items) for which CAFF is not the primary copyright holder. CAFF copyrighted materials can be used freely subject to the conditions set out in the CAFF Usage Policy.